We've done the IEM and over the ear parts 1 and 2 of the Headphone shootout. Now it's time for the last, part 3 of the shootout. The wireless models. We have some great models, from Audio Technica, JBL, Massive Audio, and Monster. The models include Monster ClarityHD for $80, Massive Audio Flex for $120, Audio-Technica ATH-S700BT for $130, JBL UA Wireless Headphones for $180, JBL Everest Elite 700 for $300, and Monster Elements Black Slate Over The Ear for $400. We typically do not include anything under $100 in the shootout, but Monster was adamant about their Clarity HD, that they would perform as well as a $100 model would, so we included them. While they are entry level for Monster, they are still designed for high quality audio. In speaking to Monsters rep, they understood that most individuals are on a tight budget, so they wanted to bring out a product at a low price point. While the price point is low, they still wanted to have great sound quality and gjve consumers a big band for their buck. The Monster ClarityHD came shipped in a standard colored box with its specs listed. There was also a clear plastic window on the front, so you can see the IEM. Materials used in the construction is mostly plastic. Quality of materials used as well as build quality was good. Also included was the manual, charging cable, extra eartips, and carry bag. They looked better than a $80 product, that's for sure. Using them was very simple. After charging them, it was time to get them linked to my HTC One M9 phone. The owners manual was easy to follow on instructions for getting them charged, and paired. Getting them to pair with my phone was easier than expected. Next it was time to see how well they held a connection, and I was equally impressed. I was able to go over 50 feet away with multiple walls between me and my phone and still able to hear clean sound. I was still amazed at the $80 price tag, and could not wait to test them with this years sound tracks. David Bowie: Let's Dance, had nice deep bass in the kick drum that had really nice authority. Nice resolution in the wood knocker that showed a big soundstage. Vocals were very natural sounding. Journey: Don't Stop Believing , piano sounded very natural, vocals sounded very natural with good resolution. Kick drum had nice depth and impact. Also Sprach Zarathustra, ultra low bass rumble had really nice depth and authority, trumpets sounded smooth and natural. Tympani had nice dynamics and resolution. Junior Wells: Why Are People Like That, vocals were impressively natural with lots of resolution and texture, bass had nice depth and impact. Piano was very natural sounding, cymbal and percussion was crisp. Harmonica was very dynamic, with nice harmonics. Gershwin: Rhapsody In Blue, clarinet sounded very natural with great woodiness. Horns sounded smooth, piano was very natural. Bass had nice depth, texture and low level harmonics. Flutes had nice air. They throw a larger soundstage and had better imaging than expected. Massive Audio is known for high quality car audio that is, well, MASSIVE! They have started to do headphones, and the Flex is their wireless model. They are a large over the ear design. They have multiple colors to choose from, and come with a Super Bass feature. Given their car audio heritage, having super bass makes sense. The Massive Audio Flex came in a nice box that held it securely and allowed you to see them through the clear plastic window, and the molded plastic that held them firmly in place. Materials used in the construction was mostly plastic. Quality of materials used was good, and the same can be said for the fit and finish. They felt in hand to be a well made product. Also included in the box was the manual, charging cable, audio cable and soft carry bag. The instructions were easy to follow, on getting them charged, and the same for getting them to pair with my HTC One M9. There is built-in Super Bass. And there is a audio in cable to you can listen to them wired for non-wireless devices. There is also an audio out connection. This allows a friend to connect up and enjoy the same tunes you are. The Flex charged easily, and the connections worked well. I was a bit surprised though to see that power had to be on, even if you were listening to them wired. So you will want to make sure they have a good charge. The Bluetooth worked well as well, with me being able to go over 40 feet away and thru multiple walls between me and my HTC One M9. But how do they sound? David Bowie: Let's Dance, bass from the kick drum was nice and deep with excellent authority. Wood knockers sounded fairly natural with some resolution and they threw a nice sized soundstage. Percussion was nicely dynamic. Vocals were natural with some smoothness. Journey: Don't Stop Believing, piano had nice tone. Vocals were fairly smooth and natural. Kick drum had very good impact, depth, and played with lots of authority. Also Sprach Zarathustra, showed excellent low end rumble with excellent depth and played with lots of authority, being only a tad boomy. Trumpets sounded very smooth with good resolution. Tympani had nice dynamics, depth and impact. Junior Wells: Why Are People Like That, vocals were natural sounding with very good timbre. Bass had nice low end extension and output. Kick drum had excellent impact. Harmonica was really clean with really good dynamics. Gershwin: Rhapsody In Blue, clarinet had sufficient resolution and sounded natural. Piano sounded natural. Trumpets were smooth and fairly clean and just a touch brassy. Bassoon had good depth and texture. Soundstage was better than expected as was the imaging. Audio-Technica is known for providing very good bang for your buck. And that appears to hold true for the Audio-Technica ATH-S700BT. They are an over the ear style headphone. The ear cups also rotate for easier storage. Their lightweight design also helps make them comfortable for long listening periods. The Audio-Technica ATH-S700BT came in a nice looking box with colored photos and specs for the product. They were well protected in a custom fitted box. Materials used in the construction was mostly plastic. Quality of materials used was good. The fit and finish was also good. They are also very light. And while they are light, they are not cheap or cheaply made. Also included were the owners' manual, charging cable, audio cable and soft carry bag. The instructions were very easy to follow, and walked you thru how to get them charged and paired with my HTC One M9. I also liked the ability to be able to use the included audio cable, incase either the battery dies, or you have a non-wireless device. The earcups were very comfortable and gave a very good seal. And the Bluetooth radio worked very well. I was able to go over 50 feet away from my smartphone, and thru multiple walls with having great perfectly clear sound. They seemed to be a great bang for the buck, and couldn't wait to hear how they sound! David Bowie: Let's Dance, kick drum played deep and with a lot of authority. Wood knocker showed good resolution and a wide soundstage. Vocals were very natural with good texture with nice smoothness. Journey: Don't Stop Believing, piano was impressively natural sounding. Vocals were nice and smooth with great timber and texture. Kick drum had very nice depth, impact, and played with authority. Also Sprach Zarathustra, revealed excellent low end extension and depth, with very good authority. Trumpets sounded very smooth and clean and a nice wide soundstage. Tympani had very nice dynamics, impact, and resolution. Junior Wells: Why Are People Like That, vocals were very natural sounding with excellent resolution and texture. Bass had very good depth and output. Harmonica had really nice clean harmonics with excellent dynamics. Gershwin: Rhapsody In Blue, clarinet was really natural with good tone and woodiness. Trumpet was really clean and smooth without being brassy. Bassoon had nice depth and texture. Timpani had nice impact. They threw a really wide soundstage and imaging was very good. JBL partnered with Under Armour for their UA Wireless Headphones Wireless. If you have an active lifestyle, these could be for you. Whether it is just running, or playing basketball, they are designed to stay in your ears. They are wireless IEM with built-in controls, so you can also use them with your smart phone, and link to it with Bluetooth. With a proven ergonomic ear tip designed specifically for athletes, twist and lock them into place – they’re guaranteed never to hurt or fall out. Internal and external strain reliefs along with IPX5 sweat proof construction provide the ultimate durability. Premium 5.8mm dynamic drivers deliver big sound in a compact size. JBL’s legendary Pure Bass Performance will keep you driven to finish strong. Control tracks, volume and calls easily with a inline 3-button mic. Get a week’s worth of workouts with 8 hours of battery life per charge. With a membership to to MapMyFitness Premium you can precisely monitor your health and track progress. The JBL UA Headphones came in a nice red box, and were well protected being held in foam molding. Construction was mostly plastic and soft plastic rubber. And I can see by their design how they would give a solid fit and not fall out. Quality of materials used was good, as was the fit and finish. Also included was the owners' manual, additional set of ear tips, charging cable and soft carry case. The manual was easy to follow, with how to charge them and get them to pair with my HTC One M9 smartphone. Charging them was very easy. Getting them paired with my smartphone was very simple as well. And their Bluetooth performance was good. I was able to have good quality crystal clear sound up to 40 feet away from my phone, and with a wall between me and the phone. The design of the IEM's definitely made for a secure fit. I tried shaking my head and they held a firm fit. They were not going to fall out! I was able to get a great fit with one of the tips as well. SO while they were not going to fall out, I also had a good seal for the tunes as well. Now it was time to test their sound performance. David Bowie: Let's Dance, bass from kick drum had good depth with authority. The wood knockers revealed a fairly wide soundstage. Percussion had good dynamics, vocals were natural sounding. Journey: Don't Stop Believing, piano sounded very natural. Vocals were very natural with good resolution. Kick drum had nice impact and depth. Imaging was good for their price point. Also Sprach Zarathustra, low end rumble had good depth and played with authority. Trumpets were smooth and not too brassy. Tympani had nice dynamics and impact. Junior Wells: Why Are People Like That, vocals were very natural with really good resolution. Bass had nice low end extension and output. Piano sounded very natural. Harmonica had nice harmonics with very good dynamics. Gershwin: Rhapsody In Blue, clarinet sounded very natural and clean with some woodiness. Horns were really smooth. Piano sounded more natural than expected. Bassoon had good depth and texture. Next up are the JBL Everest Elite 700. They are JBL's top of the line wireless headphone, and it shows. Not only are they wireless, they are also active noise cancelling. JBL also includes some top shelf technology in them. Their NextGen Technology allows them to control the level of outside noise. And TruNote is an Auto sound calibration so you can calibrate it to your personal sound preference. There's even a JBL Headphones App. The JBL Everest Elite 700 came in a great looking foil colored box with photos of the headphones and it's specs. They were well protected, sitting in a molded plastic insert. Materials used in the construction was mostly plastic, with some metal, such as in the hinges. The quality of materials used was very good, as was the fit and finish. They felt well made in hand. This is JBL's top of the line headphones, and it shows. There are some great features in the JBL Everest Elite 700, so you will want to reference the user manual for them. Following the manual was very easy, and was able to get them charged and paired rather quickly. I liked the included audio cable, so they could be used when the battery dies or you want to listed to a non-wireless source. The Active Noise Cancellation worked out very well, blocking out most of the low frequency noise. And the TruNote Auto Calibration also worked very well, giving a better sound for me. Following the instructions I had them charged and paired in short order. The Bluetooth performance was amazing, the best of all the devices, being able to go well over 50 feet and thru multiple walls. I had my HTC One M9 in one corner of the first floor of my house, and was able to go all over downstairs as well as all over upstairs without even a hickup! I was anxious to hear how they sounded! David Bowie: Let's Dance, the kick drum had really nice low end extension and played with very good authority and impact. Wood knockers showed really nice woodiness, and a wide soundstage. Vocals were pleasantly natural with very good timbre and texture. Journey: Don't Stop Believing, piano sounded extremely natural, vocals were silky smooth with very good texture. Soundstage was nice and wide. Kick drum had depth and impact. Also Sprach Zarathustra, had nice depth of the rumble and good output. Trumpets were silky smooth and really clean with excellent harmonics, throwing a wide soundstage. Tympani had really nice impact and dynamics. Junior Wells: Why Are People Like That, vocals were silky smooth with very good, timbre and texture. Bass had good low end extension and output. Piano sounded natural. Percussion had excellent resolution with crisp cymbals and snare. Harmonica was really clean and very good dynamics. Gershwin: Rhapsody In Blue, cymbals had very good dynamics. Horns were warm and smooth yet not brassy. Bassoon had nice harmonics with good depth and texture. Soundstage was big with depth and imaging also very good. Last but not least are the Monster Elements Black Slate Over The Ear headphones. They already have the 24K, but Monster has expanded on that concept. Now they created the Elements Series, which is a completely wireless line that comes in three versions - over-ear, on-ear, and in-ear. Colors, available are namely the Black Slate, and Rose Gold for now, with more finishes to come soon. They are scheduled to be available in June, but wanting to be included in our annual shootout, Monster sent over a pair of the Black Slate over the ear, with a MSRP of $400. Not yet on their website, but will be soon. In Monster fashion, the Black Slate came shipped in a great looking color box with photos of the headphones and their specs. They were well protected, being shipped in their soft zippered carry case, that was held in a molded plastic insert. Materials used in the construction was mostly plastic with some metal and were excellent. The fit and finish are also excellent. The monster Elements are a top of the line series for Monster and it shows! They felt very well made in hand. I LOVE the metallic sparkle look of the Black Slate! And the memory foam earcups make them comfortable to wear. Following the instructions was easy, and in no time at all I had the Monster Elements Black Slate charged and paired to my HTC One M9. And as usual they also came with a separate audio cable. So if the batteries die or you are wanting to listen to a non-wireless device, Monster has you covered. The wireless performance was also very good. I was able to go over 50 feet away with multiple walls between me and my HTC One M9, and the sound was perfectly clear. I also really liked the touch sensitive Swipe Control, being able to control the music by moving my finger across the top of the earcup! Of course being able to listen to high res audio thru the USB Audio connection is also very cool. But how did they sound? David Bowie: Let's Dance, kick drum was deep and played with very good authority and impact. Wood knocker was very woody and revealed a very wide soundstage. Percussion was nice and crisp. Vocals were the way Bowie should sound with excellent resolution in the timbre. Journey:Don't Stop Believing, piano sounded very natural, vocals were smooth like honey, with excellent resolution and texture. Kick drum had great depth, impact, and played with authority. Also Sprach Zarathustra: revealed a very nice rumble that was really deep and with really nice authority. Trumpets were really clean and silky smooth throwing a really wide soundstage. Imaging was excellent. Tympani played with excellent dynamics, impact and detail from the pad of the drum. Junior Wells: Why Are People Like That, the vocals had excellent resolution and texture. Bass had excellent depth and authority. Piano sounded natural. Percussion was crisp, with nice dynamics and impact. Harmonica had excellent dynamics and harmonics. Gershwin: Rhapsody In Blue, the clarinet had excellent resolution, woodiness and air. You could hear the breathing technique. Piano sounded very natural. Cymbals were very dynamic and crisp. Horns were smooth like honey and not brassy, with excellent harmonics. Bassoon had excellent texture and low end extension. Soundstage was wide with depth. Imaging was also very good. The wireless section in this year's Headphone Shootout revealed some excellent products. I could see why Monster was adamant about wanting their Wireless ClarityHD included. I could easily see them competing with products twice their price. If you are on a tight budget, the Wireless ClarityHD should be on your short list. If you are not a Monster fan, after buying the ClarityHD...you will be! 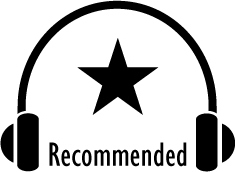 Massive Audio while being new to the headphone industry, put forth a good product. If you are someone who like a lot of bass, these could be just what the doctor ordered. And being able to share your tunes with a buddy is icing on the cake. Audio-Technica is known for giving a very good bang for your buck with their products. In terms of the ATH-S700BT, they hit it out of the park! They had a very neutral sound with very good resolution, and bass. And they too would give other models twice their price a run for their money! JBL is known for their high quality audio products. And if you like to listen to your jams while you play basketball or some other sport...you will know they won't fall out! And they did provide a very good sound. The JBL Everest Elite 700 provides an amazing sound, and a very good seal. They provide a great sound in JBL fashion, and have some awesome extra features, such as the Active Noise Cancellation, NextGen, and TruNote. Last but not least is the Monster Elements Black Slate. They are very well made, very durable, and in true Monster fashion, provide an excellent sound with excellent performance of its other features. Monster continues to solidify its place in the headphone industry. If you don't know headphones, with a purchase of a Monster product, you will get a great sounding product. Based on their design, features, quality, and performance, and price, the Massive Audio Flex and JBL UA Wireless Headphones has earned our Recommended Award. 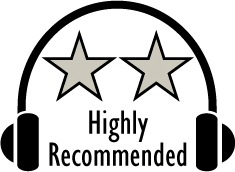 The Monster ClarityHD Wireless and Audio-Technica ATH-S700BT have earned our Highly Recommended Award. 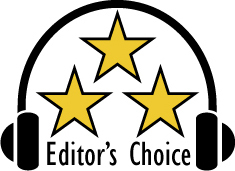 And the JBL Everest Elite 700 and Monster Elements Black Slate Over The Ear have earned our Editor's Choice Award! For more info and complete specs, check out their website at www.audio-technica.com, www.jbl.com, www.massiveaudio.com, and www.monstercable.com.